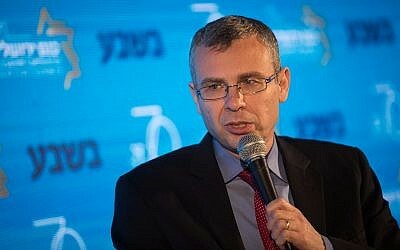 Tourism Minister Yariv Levin, who is serving as temporary acting prime minister until Benjamin Netanyahu returns from the United States, on Tuesday defended the government against charges it wasn’t taking strong enough action against terror emanating from the Gaza Strip. “It is clear that there is no ceasefire,” Levin told the Ynet news site, after an escalation that began with a rocket attack from Gaza that flattened a home in central Israel early Monday and injured seven people, and continued throughout Monday and into the early hours of Tuesday morning. “We respond to every attack and certainly when there is an escalation. Fire will certainly be met with fire. We will take whatever action is necessary to ensure that the escalation we have witnessed is stopped. Public Security Minister Gilad Erdan told Army Radio that the elections on April 9 will not play a role in any decision over military action. “Hamas has assessed that it will make gains before the elections, and is wrong. It is not necessary to postpone election day, but it is necessary to clarify to our enemies that it is not a consideration,” Erdan said. Yair Lapid, number two in the Blue and White party, said Tuesday that Israel, not Hamas, should be the one to decide when it is time for a ceasefire. “A terrorist organization will not set the agenda for us,” he told Army Radio of the group, which announced a ceasefire with Israel late Monday. “It is necessary to allow the IDF to restore deterrence and send a clear message to Hamas – no attacks on Israeli citizens anywhere in the country,” Lapid tweeted after rocket launches against Gaza border communities continued overnight. The head of the left-wing Meretz party, Tamar Zandberg, called for a lasting and stable ceasefire during a tour of Gaza border communities. “I call upon the government to reach a stable ceasefire and to immediately seek a broad agreement that will include the rehabilitation of the Gaza Strip, the lifting of the blockade and the opening of negotiations for a political settlement. That is the only way we can save lives,” she said. 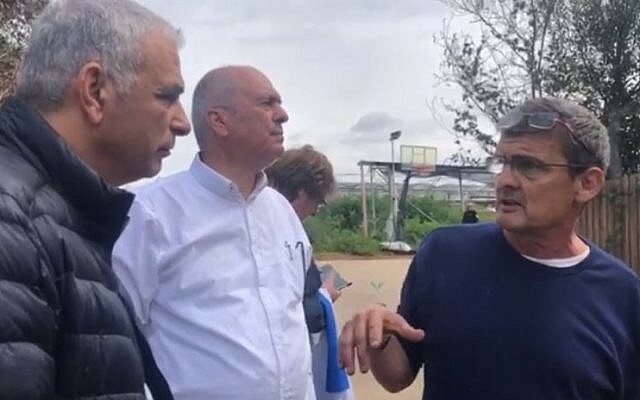 The leader of the Union of Right Wing Parties alliance, Rafi Peretz, who lives in the community of Naveh close to the Gaza border, posted a video Tuesday morning in which he called for the strikes against Hamas in Gaza to continue. “There were a few sirens overnight. We have woken up to a new morning and I give my support to the IDF so that we will continue to strike Hamas with intensity until we return the quiet and the deterrence,” he said. After firing around 30 rockets at Israel Monday evening, Hamas said it had accepted an Egyptian-brokered ceasefire agreement with Israel that entered into effect at 10 p.m. But terrorists in the Strip continued to fire projectiles at southern Israel into the night, with the army saying another 30 rockets were launched between 10 p.m. and 3:15 a.m. The Iron Dome defense system intercepted several of the projectiles, and most of the other rockets and mortars fell in open areas, the army said. 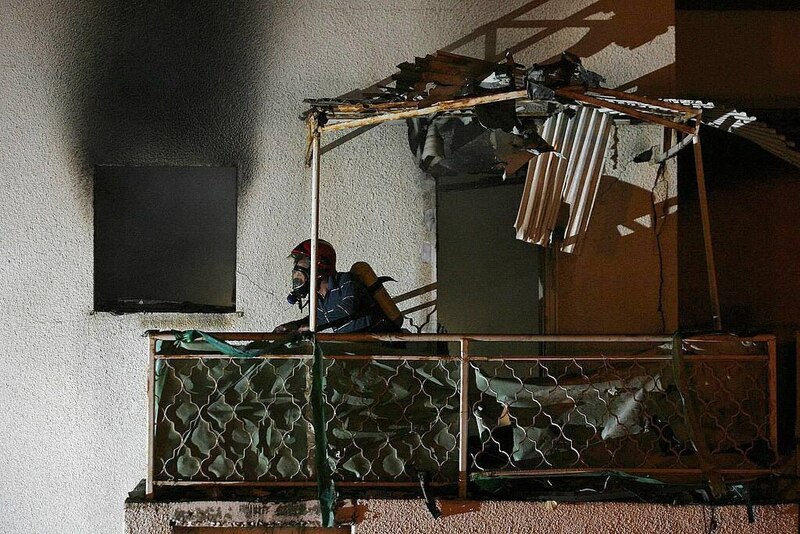 There were no injuries in the rocket attacks, though a home in the southern town of Sderot sustained a direct hit by a rocket that did not explode. 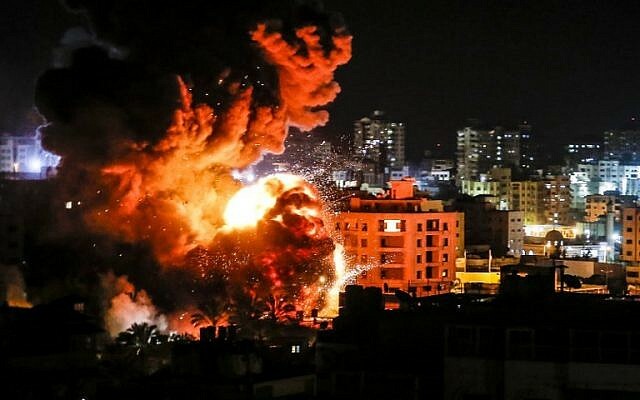 In response to the attacks during the night, IAF aircraft struck 15 targets in Gaza, including Hamas and Palestinian Islamic Jihad military compounds in the north of the territory, the army said. In the morning the army said fighter jets struck additional targets in a Hamas military compound in Deir al-Balah in the central Gaza Strip. IDF tanks and attack helicopters also targeted several Hamas military posts. 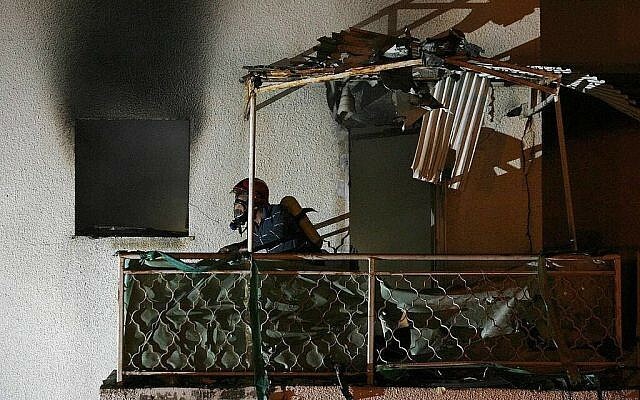 On Monday, Israel struck various Hamas targets, including the office of leader Ismail Haniyeh, in response to a rocket attack earlier in the day from Gaza that flattened a central Israeli home and injured seven people. Departing the US for Israel around 2 a.m. (Israel time), having cut short his visit to Washington, Prime Minister Benjamin Netanyahu said he would head straight for IDF headquarters upon landing in Tel Aviv Tuesday afternoon. Recent weeks have seen escalating tensions in the Gaza Strip, as the Hamas terror group, its de facto ruler, feuds with both Israel and the West Bank-based Palestinian Authority. Domestically, the terror group has also faced protests and increased criticism as humanitarian conditions in the Strip continue to deteriorate.